The distance education MBA in Hospital management, and distance education MBA in healthcare management are being offered by various universities in India. It is a 2-year (4 semesters) degree program that people from healthcare industry can join to advance their management skills required for organizing a healthcare delivery system. During the 2 years of distance education MBA in Hospital management, you will learn the marketing, finance, HR, and operations skills that are required to manage a hospital effectively. The distance education MBA in Hospital management is quite popular among doctors who run their own hospitals, and people who want to make their career in the hospital and healthcare industry. In this article, we will cover the top colleges and universities in India that are offering an MBA Hospital Management and MBA Healthcare Management degree courses under the distance education mode. Below are the best universities in India that are offering MBA Hospital Management and Healthcare Management under distance education mode. Established in 1984, and having its headquarters in Hyderabad, India, the ICFAI Universit﻿y is the pioneer name in the field of distance education. 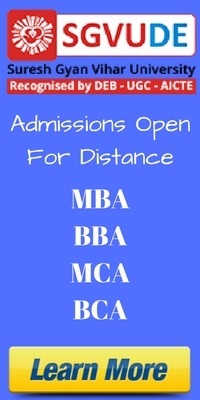 The university offers various distance education courses including the MBA. The distance education MBA course offered by the ICFAI University allows you to choose from various specializations. The specialization in Hospital and Healthcare management is one of the popular specializations that the university offers. You need to be a graduate in any stream to be eligible for the course. You need to choose any 5 subjects out of the 7 subjects mentioned below during the course in Healthcare Management specialization. In hospital management specialization, you need to choose all 5 subjects as mentioned below. 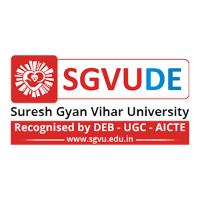 Founded in 1994, and located in Jaipur, Rajasthan, India, The Suresh Gyan Vihar University is one of the top ranked private universities in Rajasthan. The university offers various undergraduate and postgraduate degree and diploma courses under the distance education system. The distance education MBA in healthcare management is one the distance learning courses offered by SGVU-DE. It’s a 2-year degree course that students with minimum 50% marks in Graduation can join. The entire course is divided into 4 semesters. During the first two semesters, you learn the basics of business management. The 3rd and 4th semesters are designed to give you the knowledge of healthcare management. During the 3rd and 4th semesters, students study the following subjects. 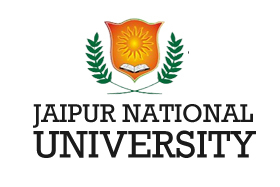 Founded in 2007, and located in Jaipur, Rajasthan, India, the Jaipur National University is a premier university in India offering distance education courses. Keeping in mind the requirement of growing hospital market and trained staff, Jaipur National University offers a 2-year MBA in Hospital Management under the distance education system. Students with a graduation degree from a recognized university can join the MBA course. Established in 1977, and located in Mumbai, Maharashtra, Welingkar Institute of Management or WeSchool is a premier B-School in India. If you’re familiar with top ranked MBA collages in India, you must have heard the name of Welingkar Institute of Management already. WeSchool offers various post graduate diploma courses in various field of management. It’s 2-year post diploma courses in management are considered equivalent to an MBA degree program. Welingkar Institute of Management offers a 2-year Post Graduate Diploma in Management (Healthcare Management) (PGDM - HCM - HB) under the distance education mode. 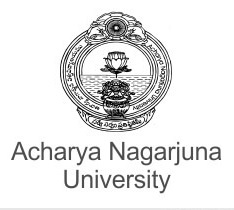 Established in 1976, and located in Andhra Pradesh, Acharya Nagarjuna University is a well know name in south India. Acharya Nagarjuna University is a NAAC ‘A’ Grade university and ranked among universities 201-250 as per BRICS World Ranking. In India, the university ranked #20 as per Times Higher Education Ranking, and in Andhra Pradesh, the university ranked #1 as per Web of Universities Ranking. The university runs various distance education courses including the MBA in hospital management. Anyone with a graduation degree is eligible for taking admission in this 2-year degree course. The student must be having 50% marks in graduation level and must have studied math as a subject in SSC level. Students are also required to clear the entrance test conducted by ANU for taking the admission. The total fee of Acharya Nagarjuna University distance education MBA in hospital management is Rs 38,500. 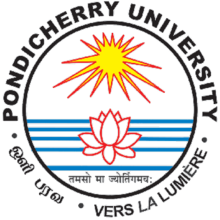 Established in 1985, and located in Pondicherry, India, the Pondicherry University is a popular university in south India. Pondicherry University offers various MBA courses under the distance education system. The MBA in Hospital Management distance education is one of the MBA courses offered by Pondicherry University. It is a 2-year degree course where students learn the foundation of management during the first year and in-depth knowledge of hospital management during the second year of study. The students are required to have a graduation degree under the 10+2+3 system from a recognised university in India to be eligible for the course.